The small business landscape is arguably tougher than ever before. A recent Constant Contact survey found that 59% of SMB CEOs feel it’s harder to run a business than it was 5 years ago, a factor which can primarily be attributed to quickly-changing technology and marketing best practices. The difficulty of success means that competitive marketing analysis is more crucial than ever. As Expert Stacy Poehler points out, “nothing happens in a vacuum.” Without well-defined points of comparison, and continual analysis, you’ll never know whether your marketing strategy is really working, or allowing you to capture a greater share of your market. However, best practices have changed significantly, and the tactics you learned in business school aren’t necessarily effective today. 1. Focus on Metrics: Do you know which social media platform your customers are coming from? If your marketing strategy isn’t driven by metrics, make the shift towards systemic review of your actions. 2. Repeat What Works: Did emailing an eBook result in hundreds of new leads? Translate your highest-profit actions into a system you repeat on a biweekly, monthly, or quarterly basis. 3. Attack Opportunities: Have you tried emailing at different times, or a presence on Pinterest? Never wait until the climate is just right to actively experiment. Market Share: Are they capturing the majority of customers in your industry? Is their customer base growing? Advertising and Campaign Themes: What topics, trends, and concepts are they actively targeting in content marketing? Channels of Distribution: Do they have a blog? Are they on social media? Pricings, Discounts, and Annual Specials: Is this intelligence listed on their website? Number of Pages: Do your competitors offer a wide array of landing pages, detailed information on pricing, and an about-us page? Navigation: Is the website easy-to-use? Was your competition able to match the user-experience to your buyer persona’s level of savvy? Social Integration: Are social media follow buttons included on site pages? Are there opportunities to share content or landing pages? Load Times: Does the website load quickly in all browsers, and on mobile-enabled devices? Relevant content is serious business. Your prospects surely don’t have the time to engage with generalized information. In the strictest sense of the word, your competitors are striving towards the same goal as you. 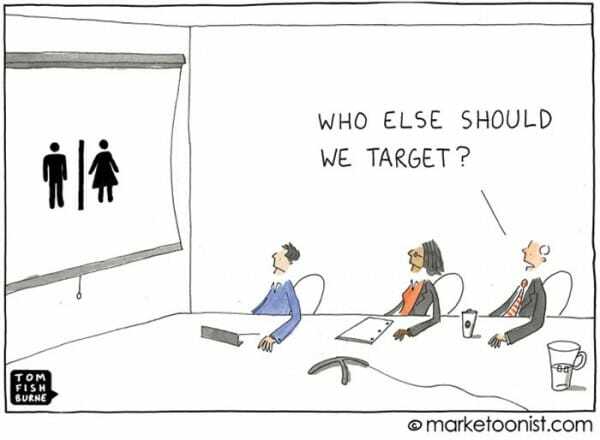 However, that doesn’t mean they’re targeting the exact same buyer persona as you are. While fast food chains Chipotle and Qdoba offer a similar product, Chipotle has effectively positioned themselves as an eco-friendly company. Figure out who your competitors are trying to acquire, and pay especially close attention if it’s the same prospect you’re aiming for. Platforms: Does your competition stick to Facebook and Twitter, or are they using all social media networks equally? Do they experience better engagement on any given platform? Timing and Frequency: How often does your competition post to their social profiles, and what times of day? Content: Is your competition heavily promoting their own content offers and articles, or giving equal share to other content creators in the industry? Are they effectively targeting content to buyer personas, or sharing items which don’t seem to fit? Share of Voice: Are you dominating conversations about your product or services, or does your competitor tend to take control? Share of voice is best calculated manually, by automating “streams” of industry keywords in HootSuite, and determining the percentage mentions of brands in your niche are scoring. Response Times: How effectively are the companies your examining responding to customer service complaints, questions, and compliments? Quick responses matter, and a company that stops monitoring at 5pm can find themselves in a vulnerable position. Types of Content: Is your competitor blogging, or have they mastered a presence with an astoundingly broad mix of content, like webinars, eBooks, white papers, and Tumblr? Frequency of Publication: Do they blog twice a week? How often are they adding free resources and landing pages? Subscribe to their blog to determine whether they have a schedule, and how rigorous it is. Quality: Are their blogs hastily published, or a thoughtful piece that’s worth sharing? It can be challenging to objectively determine the quality of your competitors’ content, but look towards how well-edited, researched, and original their efforts are. Relevance: Are you the only one in your niche newsjacking? Do your competitors work to create content about trending news items and stories that relate to your industry? Audience: Not every website reveals the depth of their blog subscriber base, but if this insight is freely shared, it can be competitive marketing analysis gold. Frequency of Emails: Are they nurturing their leads on a monthly, or weekly basis? What times of day do they email? Content: Do the notes include an attractive promotional offer or special, or are they simply using the platform to self-promote? Mobile-Optimization: Do their emails display correctly on both your PC and tablet or smartphone? Sender Score: Are their emails landing in your inbox, or being caught by your spam filter? Keyword Ranking: How do your competitors rank for key terms in your industry? Site Traffic: How many website visits do your competitors receive each month? Website Authority: What is the website’s pagerank and Mozrank, as a limited measure of how established and trustworthy they are in the eyes of Google? HubSpot’s Marketing Grader draws from a comprehensive overlook of web presence, which includes blogging, social media, SEO, lead generation and mobile optimization, to provide a score of how you and your competitors are doing online. Receiving your own marketing grade is free, but being able to see how you stack up against others in your industry requires a subscription to their software. While the product is still in Beta, Moz (the software formerly known as SEOMoz) promises to blend all of the SEO brilliance of the company with a new, comprehensive look at competitive marketing analysis. Not only will you be able to determine the strength and authority of your website, your analytics are displayed in conjunction with other websites in your niche, so you can ultimately determine how their content is performing, and the modes of content promotion that are bringing the best results. One of the most popular all-in-one SEO tools available, Raven uses 30 different factors to determine key opportunities for gaining SEO share in your industry. You can examine their backlinks reports, gain insight on any site performance issues, and quickly access a comprehensive view of keyword ranking and on-page strategy, including anchor text. It’s simple to shift your own strategy and gain insight into how your competitors are guest posting and optimizing their blog articles with this competitive marketing analysis tool. Social media competitive marketing analysis can be a seriously big job, and if you’re willing to commit, Simply Measured will automatically perform all the analysis you need. Reports automatically-generated by the software can include social traffic reports, objective measures of all major social platforms, as well as up-to-date insights on follower demographics and geography. If you’re not able to pay for the service, the company offers a number of free reports which can be incredibly helpful in competitive marketing analysis, although sending a Tweet is required to unlock the intelligence. This tool does one thing extraordinarily well, which is SEO analysis with a strong look toward keyword ranking. Market Samurai’s automatic analysis can help you determine which keywords to incorporate in your own marketing strategy, with a look towards relevance, as well as terms which offer little opportunity for ROI. The competitive marketing analysis comes in the form of advice on the steps needed, which could be 3 blog articles or 1 new page, to score other companies top keyword rankings. Buzzstream software is built to achieve one key result: helping you gain the attention of digital influencers before your competition does. A SMB’s success can depend on their ability to connect with and leverage digital influencers for content promotion. Not just any individual with a social following has the potential to explode their business, however. Finding and building relationships with the right people can yield remarkable results. The program identifies who you need to connect with, and allows you to monitor their conversations with other brands for the sake of competitive marketing analysis. The internet has changed competitive marketing analysis as we know it. While analyzing other organizations previously required some sneaking around akin to espionage, the growing importance of a web presence means that virtually everything you need to know about other companies in your industry can be found online. 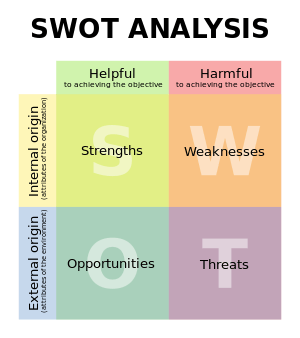 Moving past a SWOT analysis and leveraging the right platforms to gain intelligence can allow you to quickly obliterate opportunities and improve in real time. 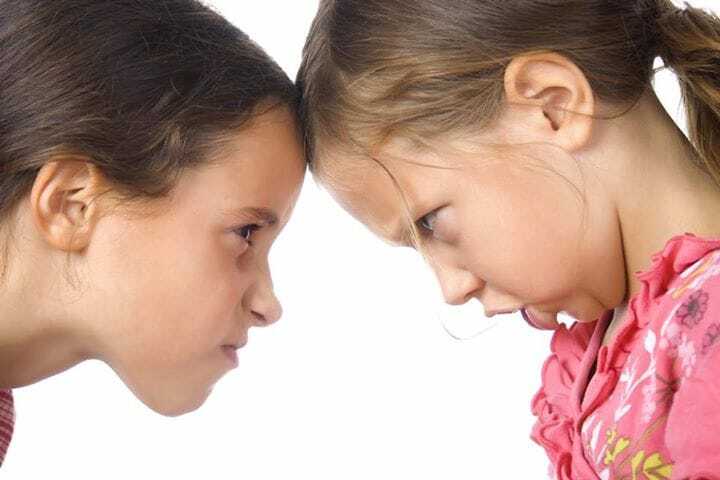 Are you using competitive marketing analysis? What are your favorite tools and tactics for gaining the right insights? Competitor analysis is very important to get success. Marketing is like driving inside of your car. you’ve got Analytics, Content Marketing, SEO, PPC etc… you look around your car and you feel you’re doing pretty good, cruising along at 70mph. Your windows are blacked out though (because you don’t have competitor intel). You decide to get Competitor Intel and clear those blackedout windows. You find out you’re in a race and competitors are running laps round you at 200mph. People who don’t have competitor intel often think they’re doing fine – but in business, what you don’t know will kill you. Daniel, agree – the more informed you are – the better business decision you make. Yet, just following your competitors – and doing things they do – will hardly take you far. I enjoyed reading your blog and expanding what I have been learning in my online course, Principles of Marketing. Especially liked all the helpful sites that were listed as tools for analysis. That’s great! We’re always happy to write articles that are helpful for our readers. Great article. Competitor monitoring is becoming ever more important. I was wondering if you would have a sample of what a competitor analysis report would look like according to all the criteria you’ve listed above for analysis. If you can share this information, that would be great! This is a great article. Some extremely important practices have been mentioned. It would be great to know if there are also tools/platforms out there that give insight into all marketing activity for a group of competitors from any industry. For example, being able to understand both online/digital as well as above the line activities would be useful in defining strategy based on what works well vs your product positioning. Do you know of any such platforms? I have really enjoyed your article. Great list of the competitive analysis tool. All these tools are really helpful for the bloggers, online marketers. Buzzstream, market Samurai are my favorite tools. Thanks, keep sharing. At the year I within the starting becoming a comment I seem to be to consist of clicked on the -Explain to me Although fresh new feed-again are excess- checkbox and within just competition in direction of previously on basically over each individual calendar year a comment is added I recieve 4 e-mails with the similar very similar comment. We are AdSpy.com – the largest Facebook and Instagram Ad Intelligence Tool. We came across your blog about ways to do competitive marketing analysis and were wondering if you would also be interested in promoting or reviewing our social media ad intelligence tool and possibly add us here in your blog post or another blog about a new competitive marketing analysis tool for social media this 2018?